This Week is National Emergency Medical Services Week. This year’s theme is “EMS STRONG: Always in Service.” National Emergency Medical Services Week brings together local communities and medical personnel to publicize safety and honor the dedication of those who provide the day-to-day lifesaving services of medicine’s “front line.” The American College of Emergency Physicians (ACEP) was instrumental in establishing EMS Week when President Gerald Ford declared November 3-10, 1974, as the first National Emergency Medical Services Week. This annual observance continued for 4 more years and was then reinstituted by ACEP in 1982. May 21 to 27 is National Emergency Medical Services Week 2017. 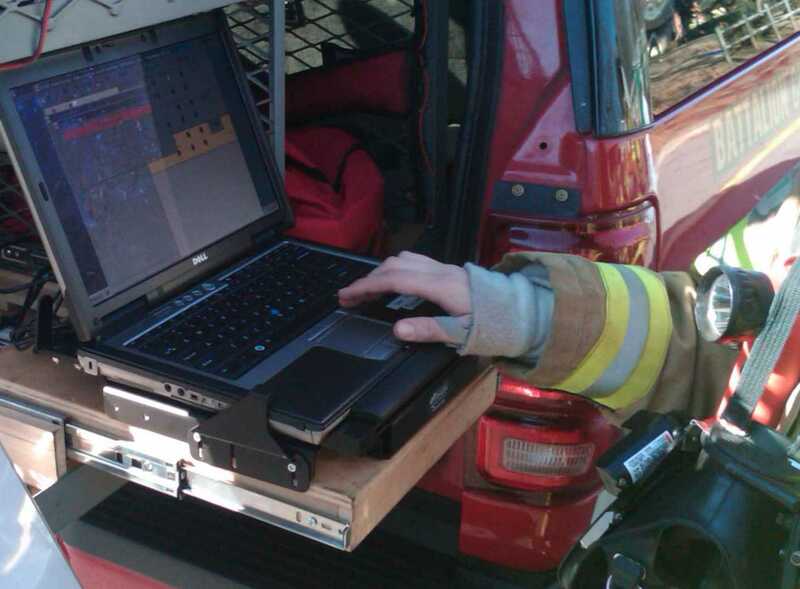 FirstNet and Public Safety Broadband Data Implications for Rural EMS Organizations Published. NPSTC‘s EMS Communications Working Group includes representatives of NPSTC and National Association of State EMS Officials (NASEMSO). This white paper highlights unique issues facing rural EMS agencies and examines how public safety broadband communications may be used to support and enhance EMS service delivery. Rural EMS providers have unique challenges that are vastly different from their urban and suburban sister agencies. These challenges exist in three areas: time, resources, and incident types. Access to high-speed public safety broadband services will provide solutions to mitigate some of these issues while enhancing EMS operations and patient care. As a result, it is likely that rural EMS providers will enjoy a greater benefit from public safety broadband wireless communications systems. For many, what was once perceived as a futuristic technology, such as in-the-field ultrasound examination of a trauma patient or live video consultation with a pediatrician, is now becoming a reality. In 2015, NPSTC initiated a questionnaire, asking how EMS and hospitals will use telemedicine, and replies were received from more than 670 agencies. Published in 2016, the EMS Telemedicine Report: Prehospital Use of Video Technologies is a comprehensive report on the use of video technology by EMS agencies, hospitals, and trauma centers. In 2013, the NPSTC Broadband EMS Working Group created the EMS Broadband Application List for FirstNet PSAC. This document highlighted 37 software applications designed to support EMS and was provided to FirstNet to help illustrate the critical role that applications will play. The group is currently working on updates to that report. FCC Seeks Comment on Accelerating Broadband Health Technologies Availability. The FCC recently released a Public Notice (PN), seeking comment on a wide range of issues involving access to broadband and its impact on healthcare solutions and technologies, especially in rural and other underserved areas of the country. The FCC expects to use this information to identify actions that the Commission can take to promote this important goal. Portions of the PN speak to the need for rural areas to have access to broadband, and other sections seek information on how hospitals are using broadband. Comments are due May 24, and Reply Comments are due on June 8. Join the Broadband Emerging Technologies Working Group on Wednesday, May 24, at 12:00 p.m. EDT. The group will host guest speaker, Laurie Flaherty, National 9-1-1 Coordinator, who will discuss new NG9-1-1 Legislation, an NG9-1-1 Grant Program Update, a Cost Study Report Update, and Integration with FirstNet and Federal 9-1-1 Centers. Information on the conference line and access codes are available on the NPSTC Public Safety Calendar. SAFECOM and NCSWIC Encourage Public Safety to Adopt Trustmark Framework. SAFECOM and the National Council of Statewide Interoperability Coordinators (NCSWIC) Executive Committees unanimously approved a position paper encouraging public safety agencies to adopt and leverage the Trustmark Framework. In 2016, SAFECOM and NCSWIC established the Identity, Credential, and Access Management (ICAM) Working Group to help address ICAM-related issues that impact emergency communications and information sharing. The ICAM Working Group quickly recognized that interoperability and scalability between ICAM solutions are critical for the future of secure information sharing within the public safety community. Read more on NPSTC’s blog, and visit the SAFECOM website to learn more about the ICAM Working Group, ICAM, and the Trustmark Framework. Please join NPSTC for any of these Committee and Working Group meetings that interest you. NPSTC is holding the following meetings this week, which are open to anyone who is interested in public safety communications. The full schedule is available on the NPSTC Public Safety Calendar, including conference lines and access codes.